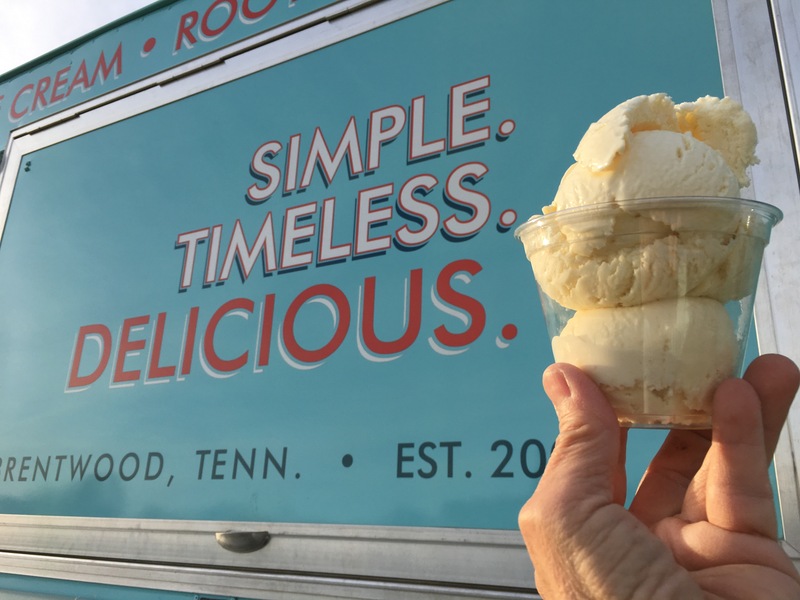 Bradley’s Curbside Creamery and its sister company, “Hit and Miss Ice Cream”, craft their flavors from real fruit and quality ingredients, inspired by old-fashioned Southern favorites born on the back porch. They weren’t pretentious. They weren’t complicated. They were just plain good. And that’s what you’ll get with every scoop of Bradley’s – simple, timeless, delicious ice cream. Smells like summer on the vine. Like Banana Puddin’? You’ll like this. Grandma’s favorite. But it’s for all ages. Coffee + Chocolate? Yes, please. The perfect sandwich cookie dunked in cream. Tangy sherbet with a hint of cream. Refreshingly minty with sinful chocolate bits. It’ll take you right back to the fair. Tastes like we just picked ’em. Close your eyes and head to the beach. Bradley’s through a straw – why not? Our creamy, hand-spun shakes can include any ice cream flavor or 2-flavor combo. 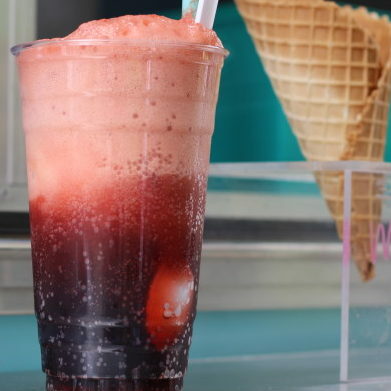 Your favorite soda + your favorite Bradley’s flavor = sublime. Just try it. Note: Our award-winning combos are only for cool people. The event was very successful, and we undoubtedly would not have had such a great turnout and such positive reviews had it not been for Bradley’s. It is not only about the taste, but the entire experience. 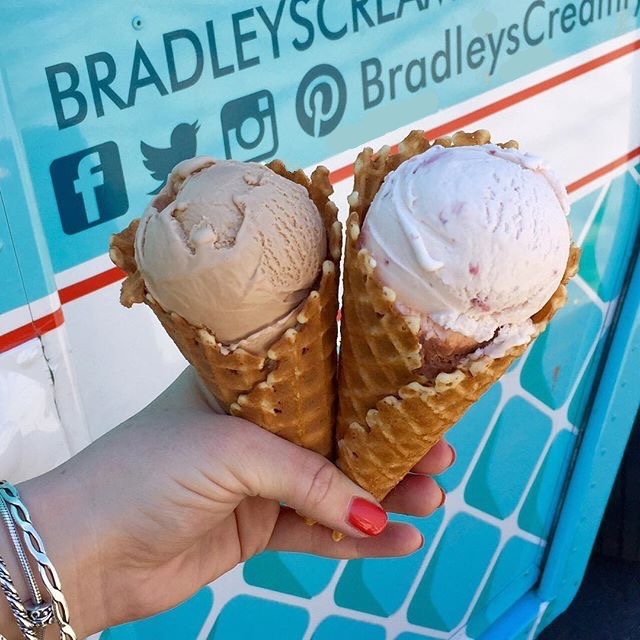 Bradley’s wants you to become as passionate about ice cream as they are! A successful event is a memorable one – that’s where we come in. Whether it’s a festival, wedding, corporate or private event, Bradley’s is the cherry on top. Our quality treats, pricing, and service are hard to beat. A succesful event is a memorable one – that’s where we come in. 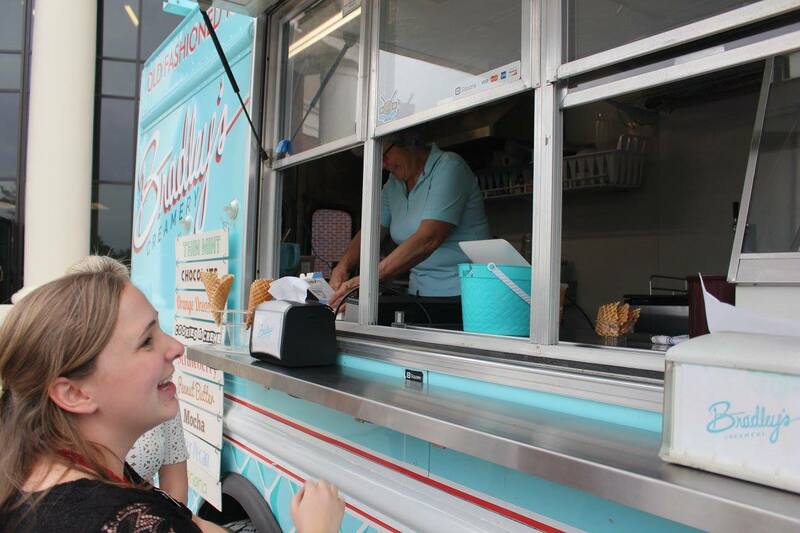 Whether it’s a festival, wedding, corporate or private event, Bradley’s the cherry on top. Our quality treats, pricing, and service is hard to beat.